Is Nuri Sahin Playing In The Shop Window ? Its been Liverpool’s younger players that have been grabbing all the headlines in recent weeks and rightly so. Brendan has added his own youth to a squad already filled with exciting players. Suso, Sinclair, Shelvey, Stirling, & Wisdom are all getting an extended run in the side and showing the Reds Boss Rodgers exactly how committed to the cause they are. Brendan Rodgers invested in three of his own players during the summer by bringing in exciting left midfielder Oussama Assaidi, German Striker Samed Yesil and the Classy Midfielder Nuri Sahin on loan from Real Madrid. The loan move for Nuri Sahin did however create much speculation throughout August with rumours about wages and loan fees & interest from Arsenal. The move was eventually helped by two key relationships Brendan Rodgers & Jose Mourinho and Kop Favourite Xabi Alonso. Alonso would have no doubt spoke of his own experiences of the Kop and the atmosphere at Anfield along with the fans loyalty to players that show commitment and ability, players that ” put in a shift “. Whether there was any truth in the Arsenal interest this might be tested once again next summer or possibly in the January transfer window. 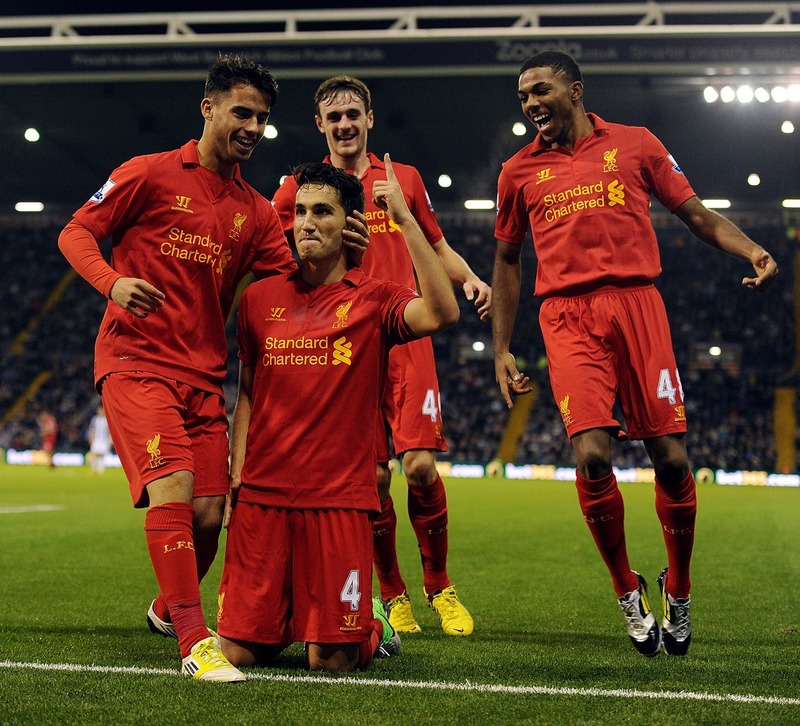 With Nuri showing his quality and really settling into the technical passing game employed by Rodgers speculation is already mounting about the players long-term future. Sahin cost Real £8m which puts the £15m paid for Joe Allen into perspective. In recent days reports have surfaced that perhaps Liverpool don’t have the funds should they wish to make the move a permanent one. A deal in which I think Liverpool need to secure for two important reasons. The lack of a real versatile quality midfielder to replace Gerrard a role that i believe Nuri can almost certainly grow into. 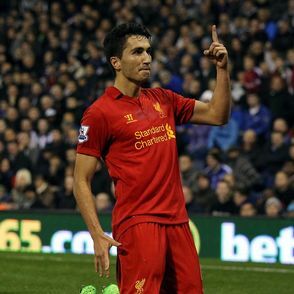 Nuri Sahin would not want to return to Real Madrid without the Re-assurance of regular first team football. Rodgers gave a cautious reply to the media when asked about the players long-term plans and possibility of making the loan a permanent deal. “I don’t look beyond the loan period because there are lots of things which will determine whether he ever came here (permanently),” said the Reds boss. With all the transfer rumours likely to intensify to the end of January it could be the long-term future of Nuri that goes under the radar unless Liverpool can find the funds to reassure the player that he is welcome to stay at Anfield. Agents and clubs alike will be on red alert to take the player. I’m sure there’s much more to come from Nuri but how ironic it would be if Liverpool were to lose him to another Premier league club. Nuri would be a ready-made player and more likely a important first team player by the end of the season, but and its a huge but he will want to play games and im not sure that would mean him returning to Spain where he only managed 10 appearances last season due to injury. Nuri’s talent was developed with success in Germany in which his record was without question. Apps 152 – Goals 17 – 36 Assists. Şahin won the Bundesliga title with Dortmund in the 2010–11 season. After a strong season, in which he scored seven goals and made eight assists, Şahin was voted best player of the season in the Bundesliga for 2011. A return to Germany also remains a big possibility if Liverpool cant find the Cash. Average attendances at Bundesliga games continue to increase year on year and show no sign of letting up. With Average ticket prices between €12-15 less than half of what a fan would normally pay to attend a game in the Premier League. Attendances are part of a structure in which Every team in the two Bundesligen must have a licence to play in the league, or else they are relegated into the regional leagues. To obtain a licence, teams must be financially healthy and meet certain standards of conduct as organisations. Attendances do however rely on the controversial seating and standing arrangements which is something I wouldn’t want to see return to English football. In Germany, the Bundesliga has thrived on passionate and atmospheric grounds, which can partially be attributed to the safe standing areas implemented. The league uses rail seating which is a form of standing where the rails have flip-up seats. The seats are locked in place for Bundesliga matches so fans can stand but are then unlocked for Champions League matches. A ticket for standing also provides the fan with a row and position, maintaining the ability to locate someone in the stadium. The Veltins Arena in Gelsenkirchen, Germany, which was used in the 2006 World Cup, features safe standing for domestic league fixtures, proving that rail seats can be easily converted.